Sometimes love looks different than we imagined. On the way to Christmas with his family, Micah asks Katie to marry him. She says no, but there is no getting out of Christmas now. The Binder family celebrates every Christmas as if it were their last. Too many people, too much snow, and too little room should be a recipe for disaster. But sometimes too much is just enough. Especially when it's Christmas. Cynthia Ruchti's books always keep me captivated with plot twists that don't disappoint. 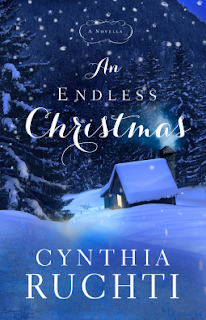 An Endless Christmas is much the same and I really wasn't sure how it would all end. The story is told mostly from Katie's perspective with a few brief thoughts from the grandparents. Unfortunately I was reading a review copy of an e-book and the formatting was really wonky so this threw me the first few times. But I think it really does add to the story. The underlying theme of the story for me was whether your family and your past defines who you are. Echos of grace ran throughout the story making me think about how I treat other people. A very fun Christmas read. Cynthia Ruchti tells stories hemmed in Hope through her novels and novellas, speaking for women’s events and retreats, writers’ events, nonfiction books, and devotionals, drawing from 33 years writing and producing an on-air radio broadcast. 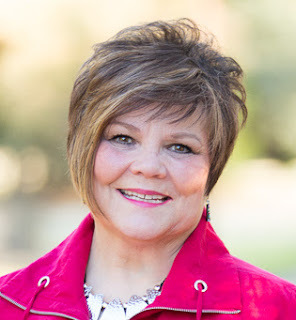 Her books have been recognized by RT Reviewers’ Choice, Selah Awards, Gayle Wilson Award of Excellence, CR’s BEST Awards, Carol Award honors, Family Fiction Readers’ Choice Award, ForeWord Reviews Book of the Year honors and others. She has a total of 15 books on the shelves, with more contracted. She and her plot-tweaking husband live in the heart of Wisconsin, not far from their three children and five grandchildren. I read an e-copy of this book provided by the publisher in exchange for my honest review.